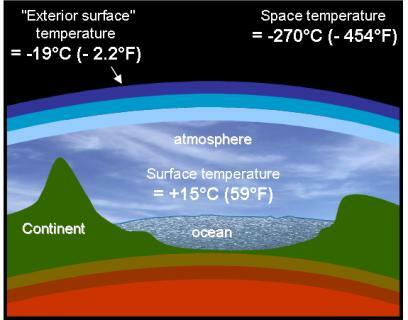 Even though the temperature at the surface of the Earth is +15 [°C] (59°F), when observed from space the temperature of the planet is -19 [°C] (- 2.2°F). The fact that the surface temperature of the Earth remains +15 [°C] (59°F) is of course due to the solar rays that are not immediately reflected towards space or immediately absorbed by the atmosphere. A large part of these rays therefore go through the atmosphere and reach the ground. In return, the heated ground sends infrared rays towards the atmosphere. These infrared rays coming from the ground are partially captured by the atmosphere, which allows the planet to maintain its temperature around +15 [°C] (59°F) close to the ground, while its temperature around 5,000 [m] altitude is -19 [°C] (- 2.2°F). We are thus “protected from the -19 [°C] (- 2.2°F)” by a sort of “atmospheric cocoon” which occurs through a process called Greenhouse Effect. 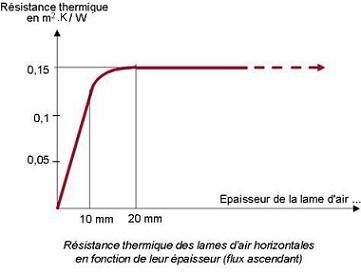 In the end, everything happens a bit as if the atmosphere was a layer of transparent isolation (such as a layer of air), and whose thermal resistance generates the difference in temperature of 15 – (–19) = 34 [°C] (34 K). We can certainly use the insulated glazing unit (IGU) analogy here. 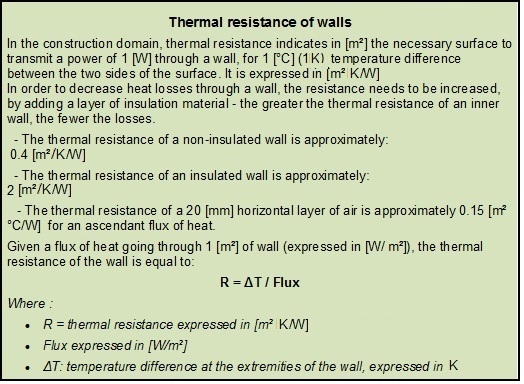 If the thermal resistance of the atmosphere towards a heat flow increases, the Earth’s temperature at the ground surface has to increase so that the Earth can maintain its evacuation of energy towards space.